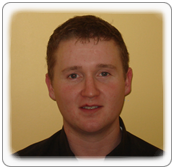 Below you will see a list of driving instructors listed for "Driving Instructors Claremorris". If you are in need of Driving Instructors in Claremorris area please take note that all driving instructors listed for "Driving Instructors Claremorris" must hold the RSA ADI qualification. Also note that it is the driving instructors who are qualified and NOT the driving schools, so make sure your driving instructor holds that most important ADI Number / Qualification " ". We can not guarantee people below this point give driving lessons in Claremorris. Above you will see a list of Qualified Driving Instructors in Claremorris or for County Mayo. Please note that all of the standard listings are driving instructors in the county BUT we can only guarantee driving instructors or driving schools who are listed as sponsors under the category " Driving Instructors Claremorris" in Co Mayo. Driving Instructors Claremorris, Co Mayo. Driving Schools Claremorris, Co Mayo. Driving Lessons Claremorris, Co Mayo. Drivng Instructors in Co Mayo areas.